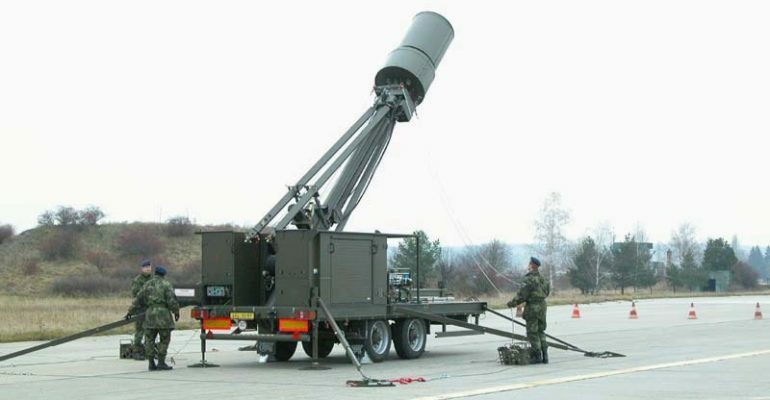 The Vera S/M is a radar and air surveillance system that was developed by ERA Inc. of Pardubice in the Czech Republic. The Vera system employs Time Distance of Arrival (TDOA) surveillance technology to detect the location of airborne threats. It is allegedly able to detect stealth fighter jets. [i] Unlike many other radars, Vera is a passive monitoring system meaning that it does not emit a signal; instead, it listens for signals from other things like aircraft. [ii] This feature creates a significant strategic advantage because radars that do not emit signals cannot be jammed. The Vera surveillance system has a couple of key features that make it uniquely advantageous compared to most other systems. First, this radar can detect stealth aircraft through its employment of TDOA mechanics, making it one of only a few radars worldwide with this capability. This means that stealth aircraft, such as a Chinese J-20, Russian Su-57, or American F-22, would not be able to conduct airstrikes on a defended location without putting themselves at risk. [iii] The other critical advantage offered by the Vera radar is that it is a passive, not active, system meaning that it does not emit and electromagnetic radiation. This in turn means that it can remain hidden from hostile radars, limiting the ability of foreign militaries to execute anti-radiation operations. December 2004: The first of two-mobile version of the VERA S/M system was handed over to the 53rd Passive Surveillance Center.